I’m calling this a “technical review” because I’m not going to spend much time talking about using Android on this device. The reason for that will become apparent. 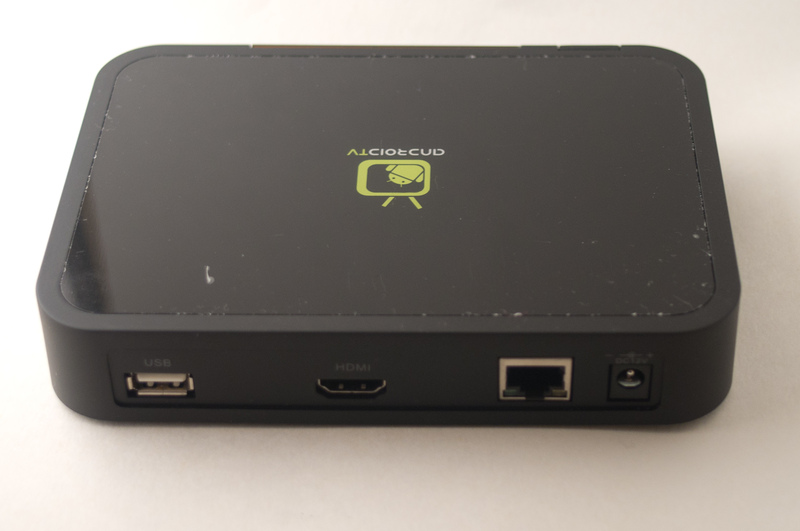 I recently purchased two “Android TV” boxes from aliexpress, for investigation and general hackery. You can buy these from various online vendors (dealextreme, aliexpress, etc.) 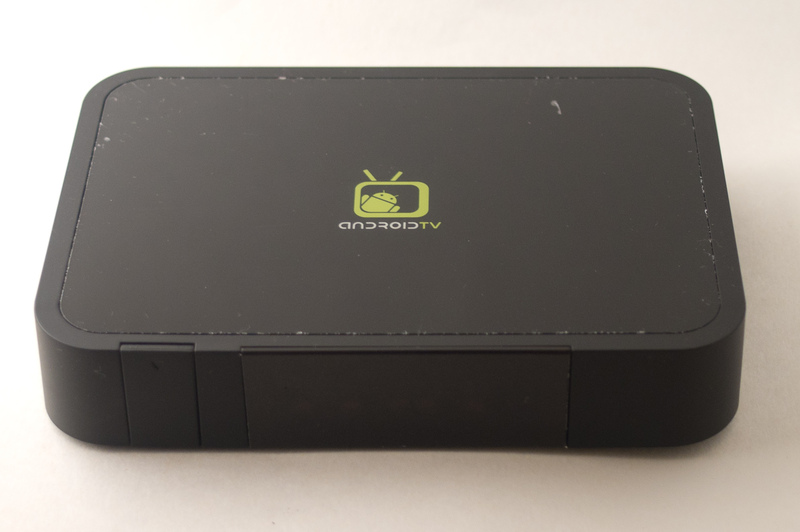 Also under other names – for instance it’s sold here in Australia as the Kogan Agora TV. The “original” product is the Flexiview FV-1, made by Mesada Technology, Shenzhen. I’ve been investigating Telstra’s T-Hub “home phone of the future”. The T-Hub is built with open source software, but Telstra do not seem to be honouring any of their legal copyright or licensing obligations. Update 2, 9 Feb: Telstra have posted information about how to request T-Hub source code. I will post more details when my disc gets here. Update 1: A response to Telstra’s PR statement about T-Hub & T-Box. I investigated the T-Hub and found it is built on a variety of open source software, including GPL licensed software like Linux and busybox. However, Telstra are not mentioning this anywhere and are not distributing source code, or notices to obtain source code. By doing this, Telstra are violating the licenses and also robbing the authors of their rightful attribution. They appear to be regarding open source as a free-for-all that they can exploit without giving back even the small amount required legally by the various license terms. However, I believe that Telstra can easily take steps to comply with these licenses. Telstra have a range of other Linux-based products, including the T-Box and a soon-to-be-released “T-Tab” Android tablet. To the best of my knowledge the T-Box is not GPL compliant either, which gives me little hope for the upcoming T-Tab. 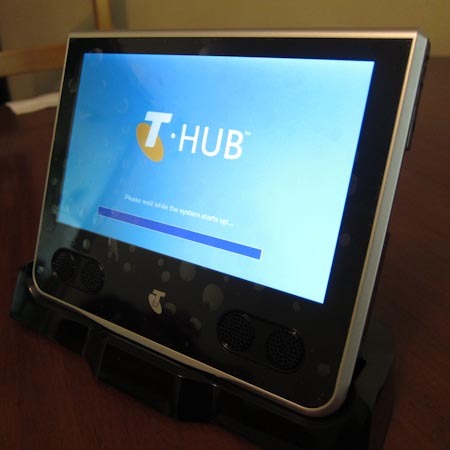 T-Hub is Telstra’s “home phone of the future”. It’s essentially a tablet-like device (think Chumby with less functionality) loosely integrated with a cordless land-line telephone. The OEM product is from Sagem, although as far as I know Telstra is the only vendor world-wide. The GNU General Public License is an open source “copyleft” license. Vendors are encouraged to freely distribute products built with GPL software, provided that they acknowledge the license and also provide access to the source code (modified or not) for the GPL licensed or derived portions. A while ago I learned that the T-Hub runs Linux, which is subject to GPL. For over two weeks I’ve been attempting to find someone at Telstra to talk to about this. Despite best efforts (phone calls, emails), I have been unable to contact anyone with the slightest idea what I am talking about, or with the ability (it would seem) to actually find someone who knows what I am talking about. Best quote so far, when I was transferred to tech support: “Look mate, noone calls up Microsoft and asks for their source code…” Um, sure. Quick Start guide (in box.) No. Inside device itself, when it first boots. No. The device appears to be built around a Freescale i.MX31 SoC, which means that it probably also contains a GPL licensed bootloader (u-boot or RedBoot.) I haven’t taken any steps to verify the bootloader, though. The following included open source software is not GPL licensed but has a license that requires acknowledgement that it is included in the product. These notices do not appear to be included, either. GPL compliance is not that hard. GPL-Violations provides an excellent (and simple) vendor FAQ explaining a vendor’s obligations under GPL. Telstra should review their use of open source in all their products, and amend their ways so they are legally compliant. For the T-Hub, this includes adding GPL and other license and copyright notices to the product documentation, adding offers for source (or actual source code) for the GPL licensed components, and also making sure that “the tools required to compile and install the GPL licensed components” are made available. Aside from the time this will take, I don’t see how GPL compliance could negatively impact the T-Hub product in any way. In fact, it may even provide a new market by allowing intrepid users to load different software onto the T-Hub. Of course, this is beside the point – the license terms are clear, and by choosing to use these software products Telstra must commit to honouring their license agreements. This is a misconception about GPL. The source code doesn’t need to be modified as a prerequisite for compliance. However, the vendor doesn’t always need to distribute the source themselves. Under GPLv2 clause 3(c), they can simply redistribute an “offer to distribute corresponding source code” that they themselves received from a third party along with the binary code, provided that the vendor did not modify the source themselves. EDIT 8/11: Glen points out in the comments that clause 3c only applies to non-commercial distribution, so it seems Telstra can’t copy someone else’s notice – they’d need to provide their own offer for source (3b) or put the source code in the box somehow (3a). It is true that Sagem made the device. However, Telstra are the legal entity who are distributing (ie selling) it. The customer’s relationship is with Telstra, not Sagem. Whatever private arrangement exists between Telstra & Sagem is not our business. Of course, in practice, it is Sagem who will probably be responsible for providing source code and documentation in order to allow Telstra to comply. At the moment I think there are two possibilities: one is that Sagem provided enough information to ensure their compliance, and Telstra ignored that information. The second is that Sagem did not provide enough information, and are themselves in violation of the license. However, as I said before, this is Telstra’s business with Sagem, not my business or the business of any of Telstra’s customers. This one always baffles me. Via GPL/LGPL a company can get access to a complete world-class operating system with libraries for almost any conceivable use. They get this at no monetary cost, without needing to negotiate any license agreements or pay a cent to anyone. Better yet, all of the software comes under a single license so the legal department only needs to read and understand one or two documents. The company is then welcome, even encouraged, to build end-user software on top of this OS & libraries, bundle it all into their products and sell it at a profit. The only thing a company is asked to do is acknowledge the open source components, and make source available. That’s the sole cost to a vendor like Telstra, for an entire software ecosystem. I believe the GPL can make no claim on any of Telstra’s original contributions to the T-Hub, such as the custom HTML UI, which are not derivative works of any open source software. None of that source needs to be released, unless Telstra wants to release it. There’s no risk that Telstra will somehow lose any competitive advantage they have in this product, via open source. Yet it seems to be all too hard. Why is that? I’m going to notify as many rights-holders as I can find for the software mentioned above, and encourage them to formally contact Telstra. So… it’s probably going back on ebay. Unless anyone wants to buy a nearly-new T-Hub? I can’t guarantee the sale will comply with any licenses, though. :D.
This year a slew of companies have launched competing Android tablet devices. A lot of rhetoric has been spun about how Android’s open source ecosystem gives manufacturers and consumers an advantage. Unfortunately, the current crop of Android tablets aren’t nurturing open source at all. With the exception of Barnes & Noble’s Nook e-reader, a device that isn’t even really a tablet, I couldn’t find a single EDIT: I found one tablet manufacturer who was complying with the minimum of their legal open source requirements under GNU GPL. Let alone supporting community development. Pandigital United States 1 No (may change) ? EDIT 2/9: Benmars posted in the comments that Archos have now released GPL source code for the Archos 7 Home Tablet. This looks to be a full kernel source release for the Rockchip RK28xx SoC, and even includes includes a prebuilt linux-x86 cross-compiler toolchain. Thank you Archos! EDIT 31/7: In the comments, xauieous points out that while Archos have released GPL source for the ARM11/OMAP2 based “Archos 5 Internet Tablet” (aka Archos Generation 7), they are not complying with GPL for the ARM9 based “Archos 7 Home Tablet”. The contents of the “Generation 7” kernel tarball seem to bear this out. Xauieous claims Rockchip are holding out on the source for the Archos 9 Home Tablet, same as Apad. Also, personal note to Archos: Please get a less confusing naming scheme! EDIT 28/7: Courtesy Harald Welte @ VIA, there’s been a source drop of kernel source for WM8505-based tablets (Eken M001,M003,Gome FlyTouch, etc.) Some parts (video, SD/MMC drivers) are still binary only, Harald says he’s talking to VIA about it. EDIT 26/7: Zebul posted a comment and drew my attention back to Archos’ GPL download section. I originally thought these were all just media player firmwares, but it turns out “Archos Generation 7” means the “Archos 5 Internet Tablet” and this tarball is a full GPL source release. Well done Archos! To their detriment, the binary firmware does not contain any obvious GPL mention – and this may mean they are still in technical breach of the GPL. The manual doesn’t mention anything either. But it’s still streets ahead of the others. Yay Archos! The GNU General Public License is a “copyleft” software license. Manufacturers releasing products with GPL licensed code, like the Linux kernel that underpins Android, are required to make their changes available in source code form. Android itself isn’t GPL. Its open source Apache license does not mandate that source code has to be made available. However, all Android systems include the Linux kernel at minimum, and may also include other GPL-licensed pieces of software that are not part of the base Android distribution. GPL source releases for these kernels make it easier for developers to build alternative operating systems, Android or otherwise, to run on the tablet hardware. It also allows improvements and changes to flow back “upstream” to the original software authors. The average tablet buyer isn’t an open source developer. However, having healthy open source releases means future support for these devices is guaranteed. Currently, projects like CyanogenMod make new improvements available to old Android phones whose manufacturers have already moved on. Similar community improvements could make new releases available on tablets, even though manufacturers are no longer supporting them. Often, community Android releases are better than the original manufacturer’s. Slatedroid & ECOTOX have been releasing customised Android versions for the Eken M001 tablet which are both faster and support more features than the OEM release. Having kernel source available can only serve to make these releases better. For the Nook e-reader, community software releases allow you to view more ebook formats on your Nook, and even add totally unexpected features like Pandora Internet Radio. Why should tablet manufacturers care? Most manufacturers seem to be stuck in the “vendor” mindset that their hardware should remain entirely under their control, and that anyone else working on it is a problem. However, it seems like community development almost always adds value to the hardware by extending it and adding more features. Especially in the tablet arena where there are no carriers to insist on platform lockdown to support their business model, an open platform doesn’t seem like it carries any significant drawbacks. Some companies, particularly the smaller Chinese ones, appear to be concerned about competitors ripping their software off into compatible hardware. From what we’ve seen with the Eken M001 though, it doesn’t seem like source availability – especially kernel source – would do much to change the situation. Outside of e-readers, there aren’t any companies competing on custom software anyhow: for the most part the software is vanilla Android, and competition is on performance, specifications, and especially price. This seems to make an even bigger opportunity for a clever manufacturer to embrace community open-source development, and differentiate themselves from all the “me too” Android clones without incurring any actual R&D cost. A lot of kernel development for these devices is done by the original chipset manufacturers themselves. For example, it seems like VIA authored and compiled the kernels found in all devices based on the WM8505 chipset (including Eken’s tablets and some others..) It seems like the same story is true for Rockchip, who make the chipset used in the iRobot APad & Moonse E-7001. Chipset manufacturers aren’t required to release GPL source code to the public, provided they send sources alongside any GPL software that goes to the device manufacturer. VIA has so far chosen this path, stating all sources are released to device manufacturers (although Eken has claimed differently at least once.) In the case of RockChip, manufacturers claim RockChip isn’t even doing that much and are violating GPL themselves (see first comment). In addition, chipset manufacturers may sometimes author custom kernel modules or other components that are not GPL licensed at all. For example, Samsung have a video acceleration kernel module that is included in the firmware for the SmartQ tablet range. These components are normally not open sourced at all. I can think of three reasons which chipset manufacturers do not embrace open source. One is that it is simpler not to. Another is that they charge device manufacturers for access to their SDK, and preemptively releasing source takes away that revenue stream (although possibly at the expense of extra hardware sales.) The last is that they are concerned about protection of their intellectual property, although this seems unnecessary given that most of their trade secrets are captured in the hardware itself, which is in turn protected by patents. Google is in an interesting position here. On the one hand, they have worked hard to make sure that above the kernel layer Android is not GPL licensed. This serves to calm worried manufacturers threatened by the idea of having to release source. It seems, sadly, like a necessary step in order for Android to receive the kind of market prominence that Google wants for it. On the other hand, it seems hypocritical for Google to tout Android’s “open source” credentials when it seems so clear that most companies profiting from it are completely oblivious, maybe even antagonistic, to open source. I think there may be things Google could do to encourage manufacturers to be more friendly (or at least legally compliant) with open source, without scaring them off. An idea that springs to mind, especially now Google seem to be out of the device business, is promotion & accreditation of open source friendly manufacturers who receive extra kudos and promotion from Google in exchange for giving back to the community. Some kind of base level accreditation for companies who do not violate GPL, and additional incentives for companies who give back extra to the community. There are a lot more Android devices on the horizon, from a variety of manufacturers. It is my sincere hope that, especially following the growing buzz around “open source hardware”, at least one chipset or device manufacturer decides to make a break from the pack and announce “open source friendly products & manufacturing” that includes supporting community development. Until then, if you care about open source you may actually be better off buying an iPad than many of the devices listed above. At least Apple comply with GPL and contribute back to the open source projects that they benefit from!